Enclosure for 1.80 m in diameter Oxygen children’s trampoline. Is your small 6ft (1.83 m) trampoline equipped with an enclosure that, with time, has become damaged? If the posts are in good condition, all you need to do is replace the netting to maintain maximum safety. No more worries, as this enclosure is easily adapted to your child's trampoline. - If your 6ft (1.83 m) trampoline has six posts with an upper fixation system that uses fibreglass rods, this enclosure will be easily adapted. Net posts which are curved towards the inside, just like on our Oxygen trampoline, imply that the interior diameter of the enclosure is smaller than the framework of the trampoline. If your net posts are straight, this enclosure is not adapted. 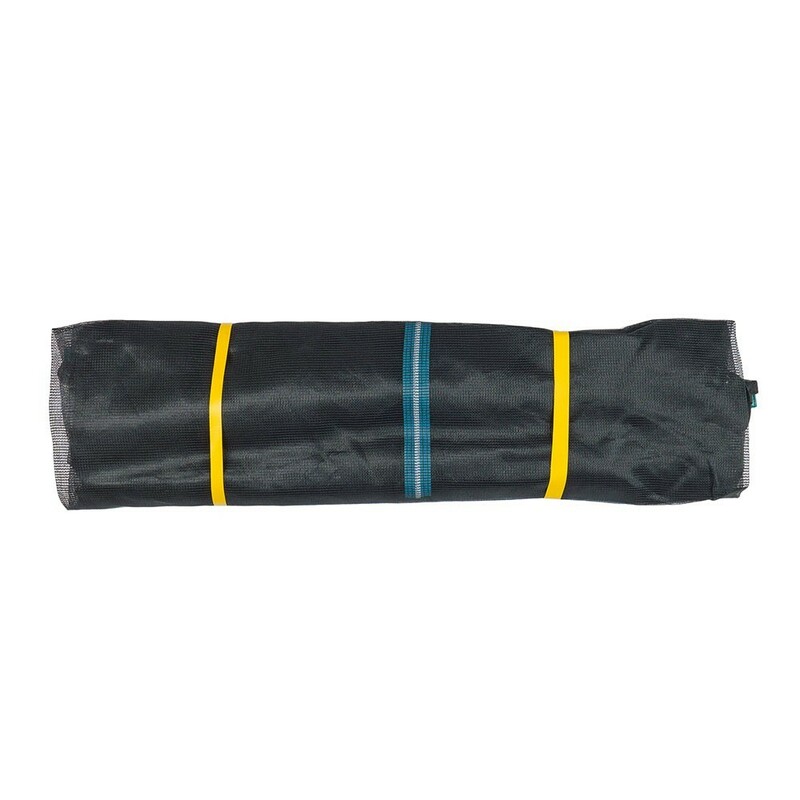 - The enclosure is designed using solid netting made from UV protected polyethylene, with a density of 130 gr/m², which is highly appreciated for long-term durability. This enclosure can be left outside all year round and is easily accessible, thanks to a zipped L-shaped entrance. This door can be opened and closed from the inside, and the outside of the trampoline. - In order to attach the enclosure, net posts must curve towards the inside of the trampoline, just like the net posts on our France Trampoline Oxygen model. These net posts should have caps, which can hold a fibreglass rod in place. 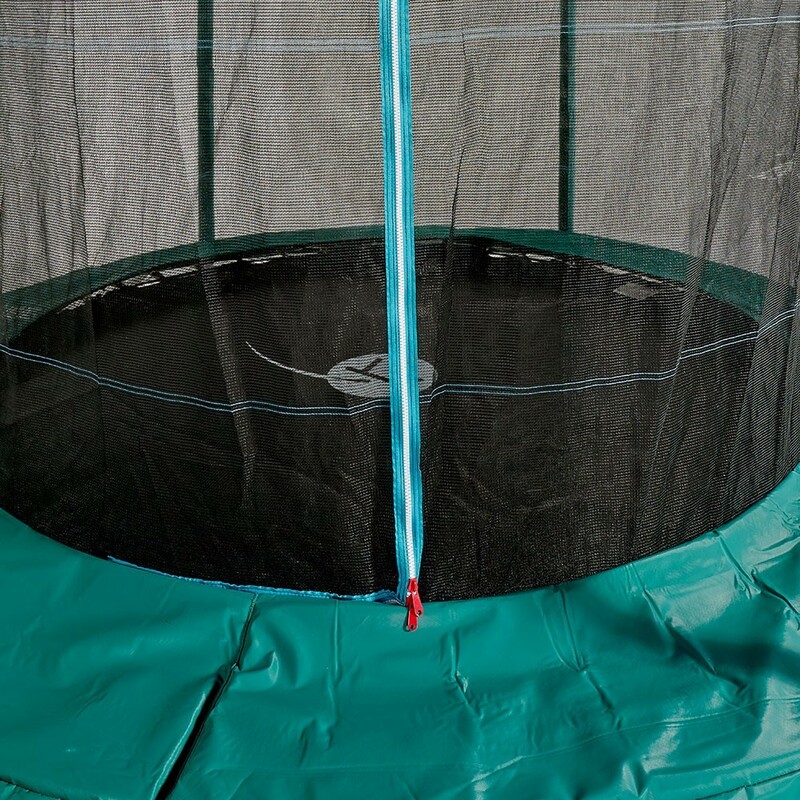 The diameter of the enclosure is inferior to the diameter of the trampoline, as this enclosure is fixed to the inside of the frame pad. This means that the springs cannot be accessed, for even more safety. 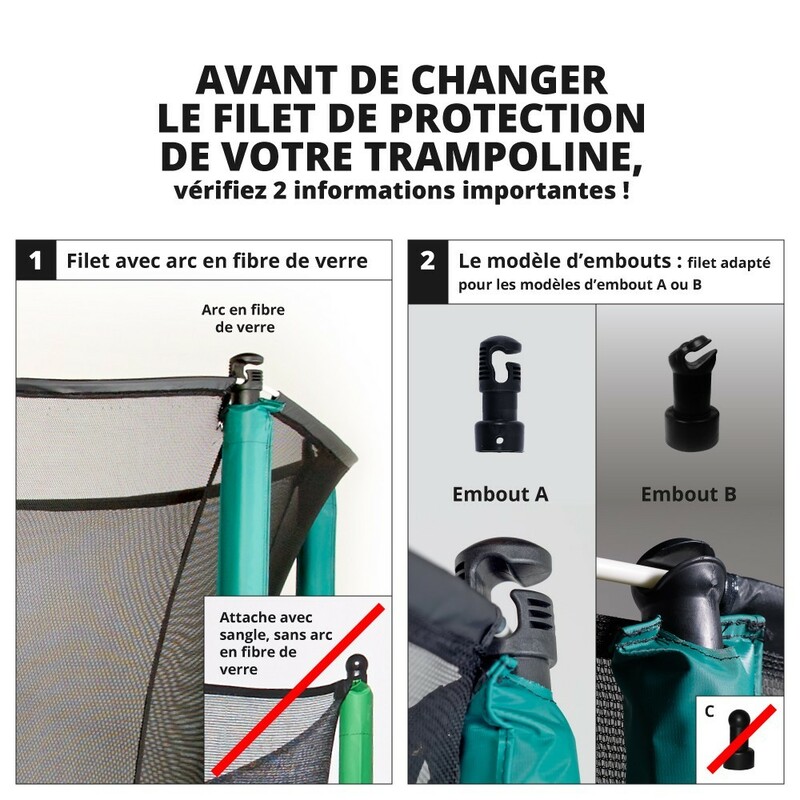 - If your trampoline with enclosure was not bought at France Trampoline, you must also check that the framework of the trampoline is at 46 cm from the ground and that the net posts are at least 1.95 m tall. This is highly important, as in this case the tension of your enclosure will be optimised. - This brand-new enclosure is sold on its own. However, if you also need to order the plastic caps for net posts of 31 mm in diameter or a pack a fibreglass rods, you will be able to find them in our spare parts catalogue.